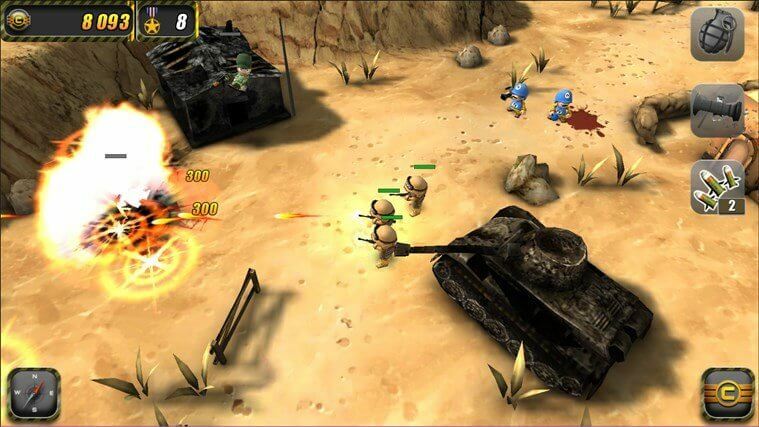 Tiny Troopers, the top-down army assault game, has migrated from Windows Phone to Windows PC today. Tiny Troopers features 30 explosive missions spread across three chapters, all tied together into an involving, narrative-driven campaign. Your troops will get stronger and more battle hardened the more missions they survive. Can you keep your squad alive through the whole war? It’s a fun game and one that I’ve have spent hours playing on my Lumia 1320. In all there are 30 different levels within the game and it isn’t just a matter of out manning your enemy. There is a bit of strategy involved but it isn’t overbearing. There is plenty of explosions and shoot-em-up action. The game does require that you have an Xbox account to play.